I'm not sure why, but Target doubled the size of this box. Sometimes I make a shopping list. If I'm in a rush, I'll sometimes leave the empty box out on the counter to remind myself that I'm out of something. 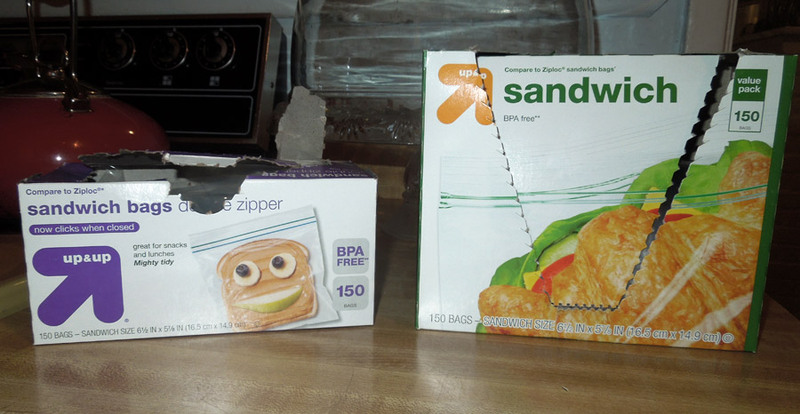 The other day I was out of sandwich bags, so I left the purple box on the left out on the counter. The new bags came in a different box. 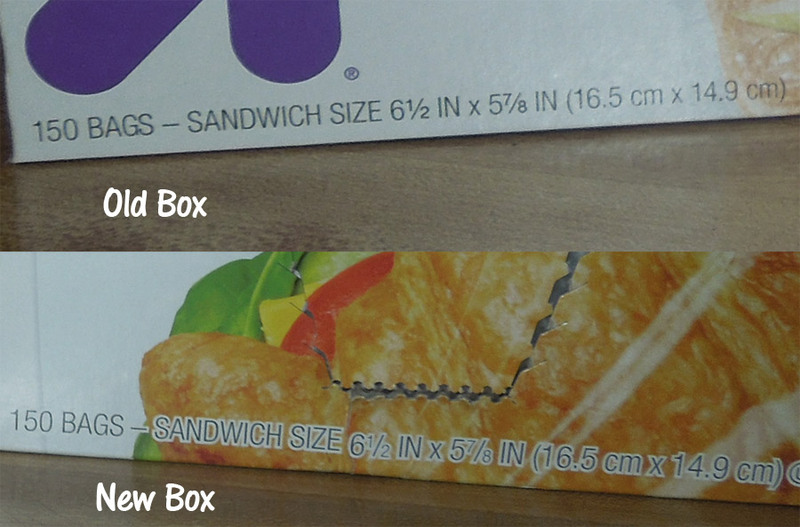 The new box is twice as large, marked "Value Pack" and contains the same number of bags. I thought the dimensions of the bags might have changed, but they are exactly the same as the old bags! Crazy, right? Clearly they don't need to pack them into this giant new box, but they did. I guessed they copied the move to larger bags at Ziplock, but I couldn't find a similar box comparison among the choices of the name brand. I also can't tell if they raised the price. The new box is $3.59 for 150, but I don't have a record of what the old price was.